Update [January 14, 2019]: Huawei started testing Android 9 Pie on the MediaPad M5 in China in mid-November 2018 but the stable version has yet to roll out. The Chinese vendor seems to be taking its sweet time to try the OS on the tablet before making it official and there is nothing wrong about that. However, if you can’t wait any longer, there is a Treble Pie ROM for your Huawei MediaPad M5, but this one has tried and tested and confirmed to be working on the 8.4-inch variant with model number SHT-W09. The 10-inch standard and Pro variants receive a different update to the 8.4-inch variant, which means the available ROM is not compatible with the bigger MediaPad M5. For more on how to download and install the Pie-based Treble ROM on your M5, follow this XDA thread. For the latest software updates, news, changelogs and even download links regarding the Huawei MediaPad M5 tablets, you are in the right place. This page has up to date information about the slates minor and major Android software updates, including dotted mentions of unofficial updates from time to time. 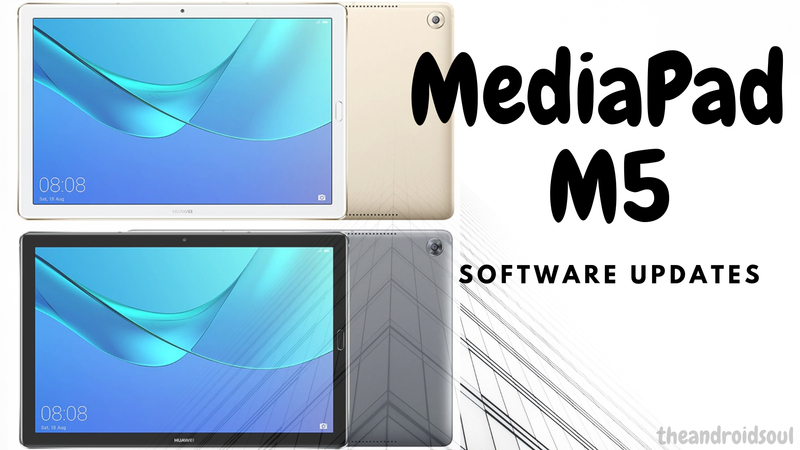 Note that there are two basic variants of the MediaPad M5 – the smaller 8.4-inch model and the bigger 10.8-inch model, but the latter further has a standard and pro variant. The latter two will be receiving the same update while the 8-inch model will get its own update. Both Huawei MediaPad M5 variants have Android Oreo preinstalled. Android 9 Pie will be the first major OS upgrade for the duo and so far, the beta version is already available for download. However, this EMUI 9.0 update has only been spotted on the smaller model, but it should also arrive on the 10-inch variants soon. It’s worth noting that this Pie beta update has only been released in China. We don’t know if the rest of the globe will also get the beta or will have to wait for the stable version, but we should find out soon or later.